This delicious blush drink is a creative spin on the traditional mimosa recipe. Rosé champagne mixed with grapefruit juice is the perfect flavor combo. 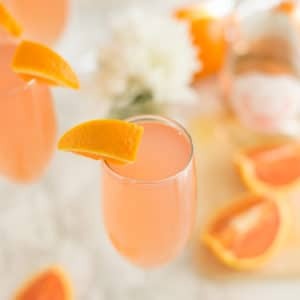 Make this rosé grapefruit mimosa recipe for your next brunch!